A six-part lesson series (recorded Live) that explores still life painting with water-mixable oil paints. (Traditional oils can be substituted.) This series walks you through the entire process - from sketching out the basic shapes with loose brush strokes to refining the details in the later stages. 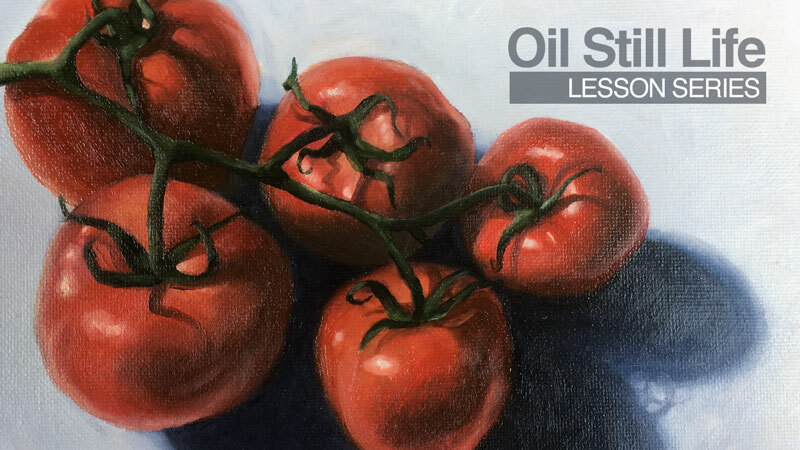 A great introduction to painting with oil paints. This part #4 was a good learning for me in terms of the use of warmer & cooler and the development of form. Noticed immediately the two right side tomatoes were no longer “floating in space” and it was very instructive to watch how you made that happen with the others.